Samuel (Sam) Faulkner, of Magnolia, passed away peacefully, on Sunday, November 18, 2018, in Kent General Hospital. He was 82. Sam was born June 24, 1936, in Dover, DE to the late, David & Sarah Faulkner. He was a car salesman for most of his career, working for Schaefer Lincoln Mercury, C & P Motors, and Pryor Auto Sales, before retiring from Sipples Used Cars. After his retirement, Sam enjoyed going to Spence’s Bazaar, continuing his love of buying and selling. 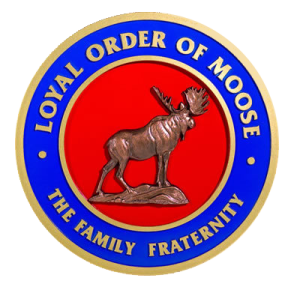 He was a member of the Harrington Loyal Order of Moose Lodge # 534 for over 50 years, where he enjoyed bartending on occasion. 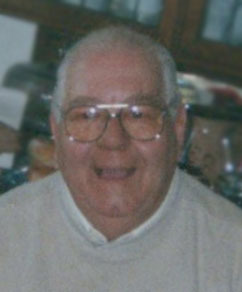 Sam loved playing billiards, and was a member of the Harrington Moose Traveling Pool Team in the late 1970’s & 1980’s. He loved country music, and along with his wife took many trips to Nashville, Tennessee, where he became a fan & friend of Randy Travis. Sam loved spending time with his family and friends, always having a story to tell. Sam was preceded in death by his wife of 64 years, Margaret(Skeeter) Faulkner; his son, Samuel N. Faulkner, Jr., brothers, David(Buddy) & Pete Faulkner; and sisters, Margaret(Sis) Werner, Grace Norris, and Josephine. Sam is survived by his daughters, Mamie Appenzeller & husband, Don, of Cape Charles, Virginia; and Brenda DeVeau & husband, Jay, of Magnolia; a sister, Doris Murphy, of Seaford; grandson, Donny Appenzeller & wife, Amy, of Cape Charles, VA.; great-grandson, Dustin Appenzeller, twin great-granddaughters, Taylor Ann and Emma Margaret Appenzeller, all of Cape Charles, Virginia; several nieces & nephews; Holly, Alexis, Allison, & Alanah Demko, who Sam & Skeeter treated like granddaughters; and his furry friend, Prissy. Funeral Services will be held 1:00 pm, Tuesday, November 27, 2018, in Pippin Funeral Home, Inc., 119 West Camden-Wyoming Ave., Wyoming, DE; where family and friends may view from 11am- 1 pm. Burial will follow in Mount Olive Cemetery, Sandtown. Flowers are welcome or a donation to a charity of your choice. Condolences may be sent via: www.pippinfuneralhome.com.